Beginner baristas get in line, the Baratza Sette 30 AP raises the bar for entry-level espresso. Packed with technology made famous in the Sette 270 and 270W, the Sette 30 brings consistent espresso grinds without breaking the bank. A high speed, low retention grind setup (perfect for single dosing), easily removable burr set, and timed dosing lets you skip the setup and get right to your morning grind. And with 30 different grind settings to choose from, your shots will be easy to dial in and easier to repeat for a second cup. Low Retention Grind Path - A unique straight-through grind path drops grounds directly into the container. Outer Burr - This is achieved by a spinning the outer burr instead of the inner, creating a natural siphon that speeds up grind time. Espresso-ready - Now packed with the Sette AP burr, this grinder is an excellent choice for beginners starting their home espresso journey. High-speed Grind - We clocked an 18-gram double shot at just over 5 seconds. Stepped Grind Adjust - With 30 dedicated settings for espresso grinding, it's easy to set (and reset) your grind consistency between cleanings. Hopper Stopper - The 10-ounce hopper's dedicated locking mechanism makes it easy to remove without wasting any beans. 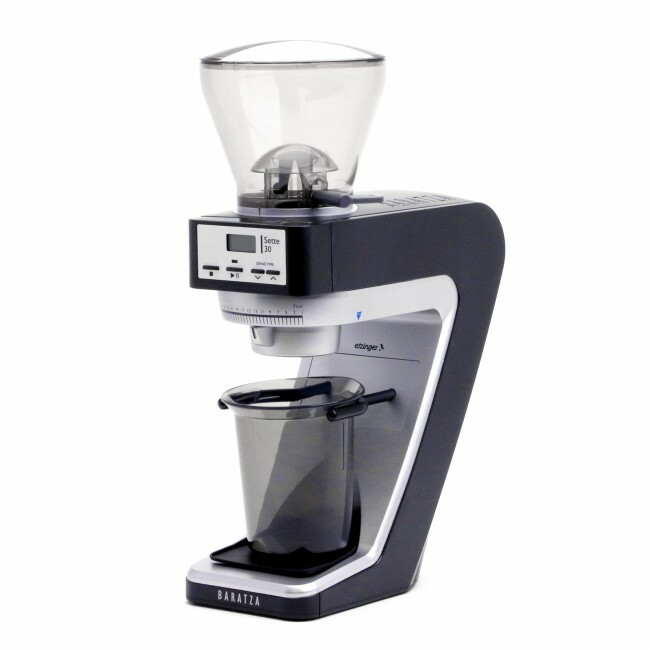 Affordable - An espresso grinder this capable is near unheard-of at this pricepoint. Grind Consistency - Espresso grounds were fast, fluffy and effectively clump-free. Easy-cleaning - Being able to pop out the burr without tools makes cleaning a dream. Loud - Just like the 270 and 270W, the pitch of the motor and the burrs isn't the most pleasing sound in the world. Portafilter Arms - The portafilter holder lacks a top hook, meaning you'll always have to hold the portafilter if grinding directly. The Sette 30 gives up some of the niceties of the 270 to get to this pricepoint, including the stepless micro adjustment ring, adjustable portafilter arms, and multiple timed-dose settings.